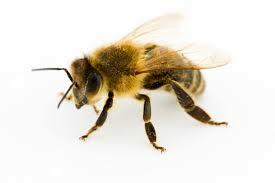 Honeybees serve a vital purpose in our environment as pollinators. The Bee Whispering program is designed for everyone from novices to experts – for those interested in establishing their own hives to those who are just curious about these extraordinary insects. Participants will learn about honeybee behavior, basic beekeeping, bee-whispering techniques, and products derived from bees. The program also addressees the critical issue of “Colony Collapse” and the plight of honeybee populations across the globe. This year, the program expands to include three interactive educational workshops plus four hands-on maintenance sessions at the apiary, led by the Conservancy’s beekeeper and program sponsor Jean-Marie Posner. Participants can attend one or all dates, and join at any time. Each workshop includes a multi-media presentation in Castle Gould and a work session at the apiary. Follow along with the beekeeper as she performs maintenance on the hives. These sessions involve hands-on participation on beekeeping techniques. As a precaution, wear long sleeves, long pants, closed shoes, and tie up long hair. Hats and gloves are recommended. No perfume or insect repellents! Also, do not eat bananas before the sessions, as they remind honeybees of a fight pheromone which can disturb the hives.